RSA Biomedical delivers the complete system of software and hardware to perform RSA® studies. This system provides everything you need to perform RSA® studies. RSA Biomedical offers a complete set of hardware to produce RSA® data. This is the hardware you need to start using the RSA® method. As you gain experience you can upgrade to the UmRSA® Complete System, which includes the analysis software. The Start-up Kit allows customers to start using the RSA® method without purchasing the complete system. 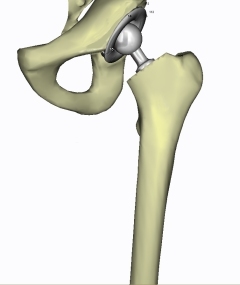 Orthopedic surgeons insert the Tantalum Markers, and the hospital provides stereoradiographic examinations. Radiographs can then be sent to an UmRSA® measurement and analysis center to generate the basic data for the study. RSA Biomedical offers measurement and analysis services, or can help you contact other UmRSA® measurement and analysis centers.